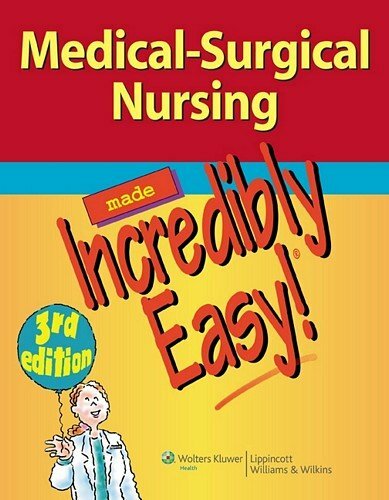 Medical-Surgical Nursing Made Incredibly Easy! Third Edition provides nurses and nursing students with the information they need to confidently provide optimal patient care. Written in the award-winning Incredibly Easy! 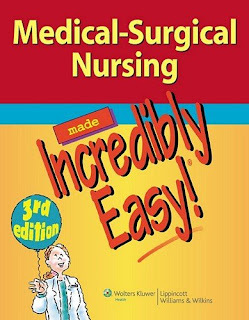 style, which makes complex medical-surgical nursing concepts easy to understand, it is perfect for those entering or needing a refresher in medical-surgical nursing. The updated text covers nearly 300 disorders, treatments and nursing interventions across 13 body system-oriented chapters, with additional overview chapters on the nursing process and perioperative care, end-of-life care, and obesity. Each chapter includes a summary of key points and features headings and illustrations to enhance learning. Consistently formatted chapters and disorder entries make information easy to find. Key terms, bullets, checklists, and graphics focus attention on important information. In addition, online components, including case studies and NCLEX®-style questions, provide readers with additional learning tools.